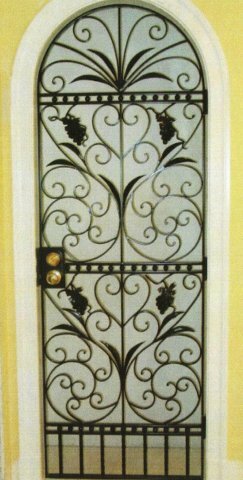 Add artistic and dramatic elegance to your entrance with a customized iron front door that reveals your personal style or line of business. 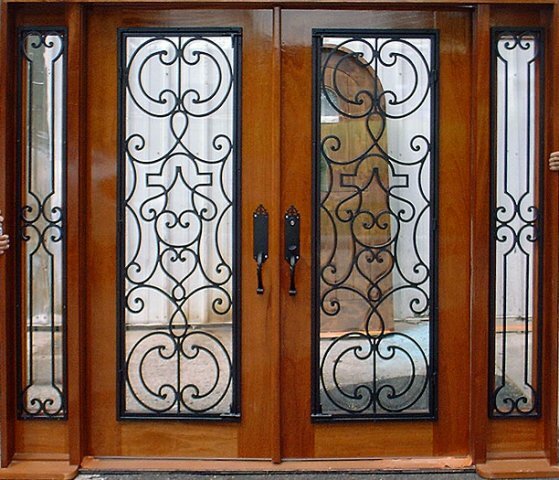 Iron Art custom designs and forges wrought iron doors and detailing, using only the finest metal, wood and glass materials to create an ornamental front door that lends distinctive elegance, individuality and security to your residence or commercial property. 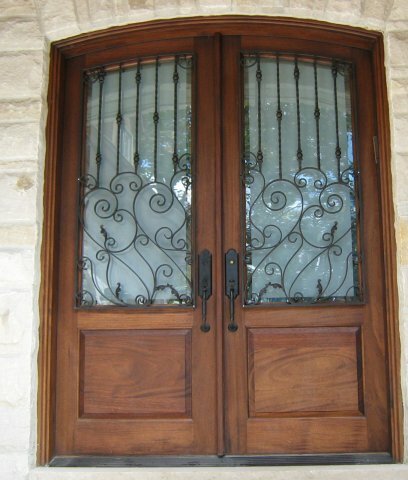 Our skilfully crafted iron entrance doors are ideal for any location, and maintain their beauty and durability without the need for painting or regular refinishing. 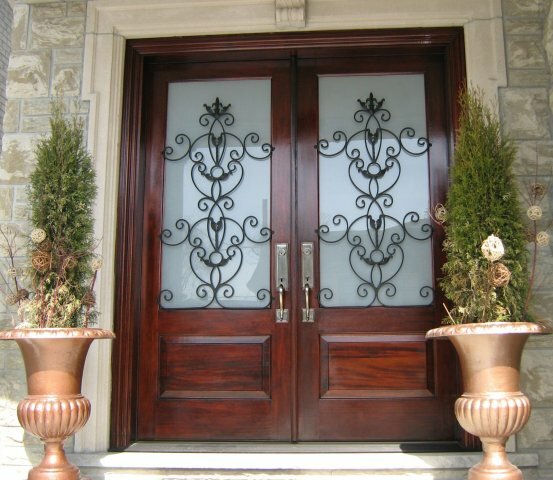 So you can be sure that your entryway will make a great first impression for years to come. 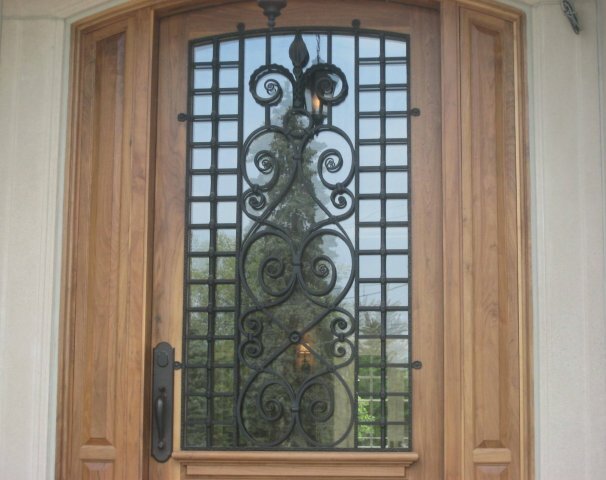 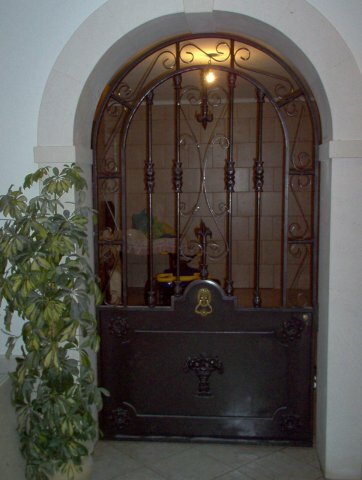 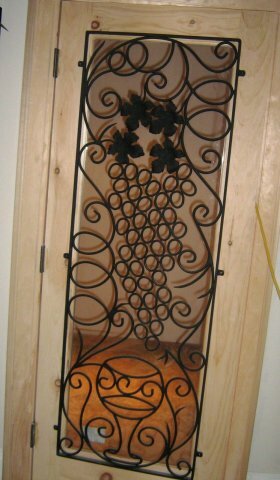 Commitment to customer satisfaction, our superior workmanship and outstanding experience in our craft are what make Iron Art the right choice for an iron entry door that will add enduring value and originality to your premises.